Arsenal were held to a 1-1 draw by Atletico Madrid, in the first leg of their semi-final clash on Thursday night. The LaLiga side played almost 80 minutes with 10 men, as the referee sent off Sime Vrsaljko for two bookable offences. However, Atletico held on bravely against the Gunners, until Alexandre Lacazette headed in the opener in the 61st minute. 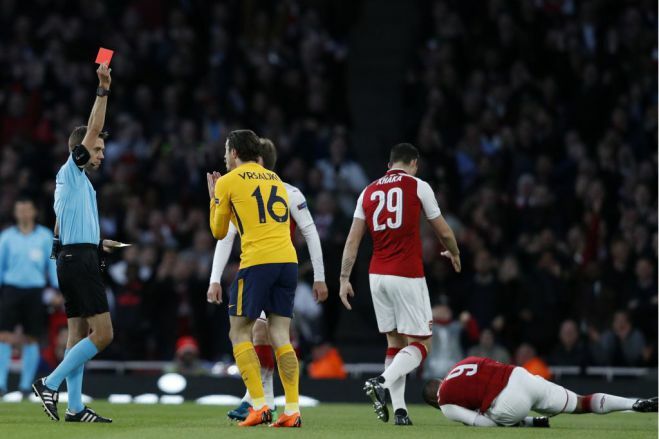 Arsenal failed to add a second goal, before Antoine Griezmann pounced on a hopeful long ball and scored a crucial away goal for his team. The second leg comes up next Thursday at the Wanda Metropolitano in Spain. In the other semi-final, Marseille claimed a comfortable 2-0 win over Salzburg at home.